We’ve all seen those YouTube videos where a forklift driver accidently bumps some pallet racking and it all falls to the ground. It may seem amusing, but what if that was your warehouse? What if that was your staff member buried under all those pallets? 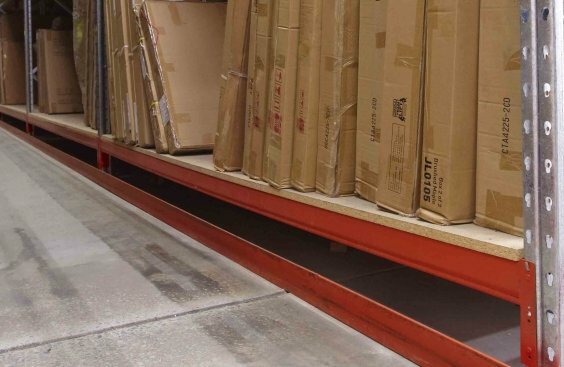 MACRACK offers a variety of pallet racking protection products that are incredibly strong and built to withstand a bashing. No matter your individual warehouse layout or circumstances, we can provide a solution to make your work environment safer by protecting your racking system from a potential incident. These protect the rack from front impact damage by diverting the force to either side of the frame. They are easy to install and simply dropped into place. 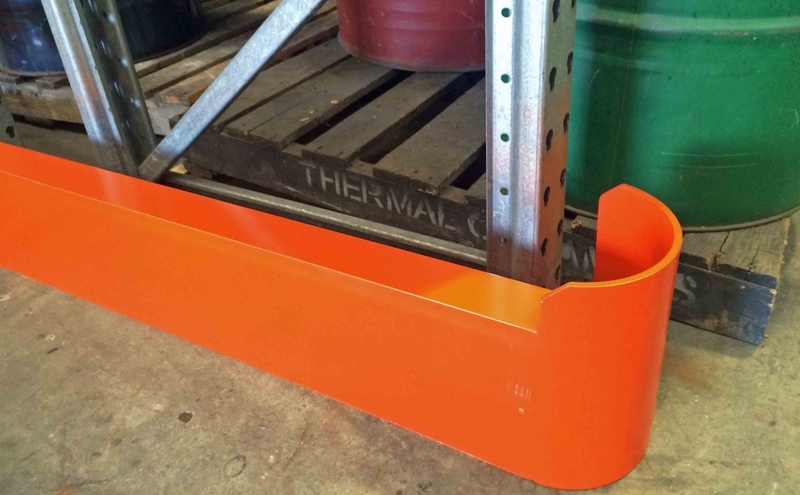 Angle post protectors deliver a really useful item for a minimal cost and are most commonly used with pallet racking. Our bollards are dyna-bolted to the ground and attached to the front of your storage system, standing upright. 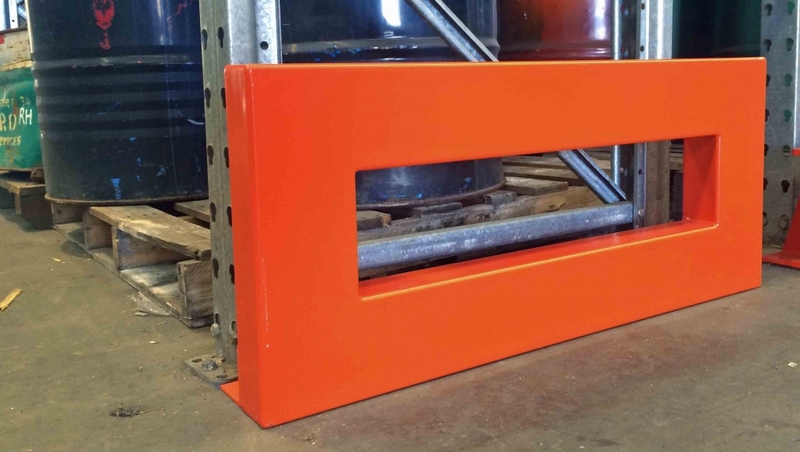 They are a sacrificial item that is designed to absorb the full impact of a forklift collision and are most often used with drive-in racking. 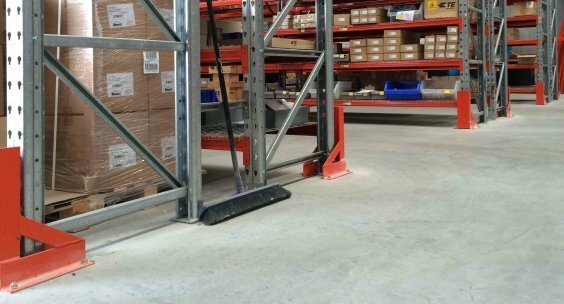 Our warehouse guards are designed to prevent damage caused by forklifts to the end of the bays. These areas are susceptible to damage because they are accessed most often by drivers who are picking pallets and performing other tasks. For this reason, it’s a wise idea to have them protected from forklifts coming and going. Our light-duty frame end guards are perfect for a warehouse with walkie stackers and lighter forklifts. Our heavy-duty frame end guards are designed to protect your racking system from larger forklifts, making them ideal for warehouses that use heavier-duty machinery. 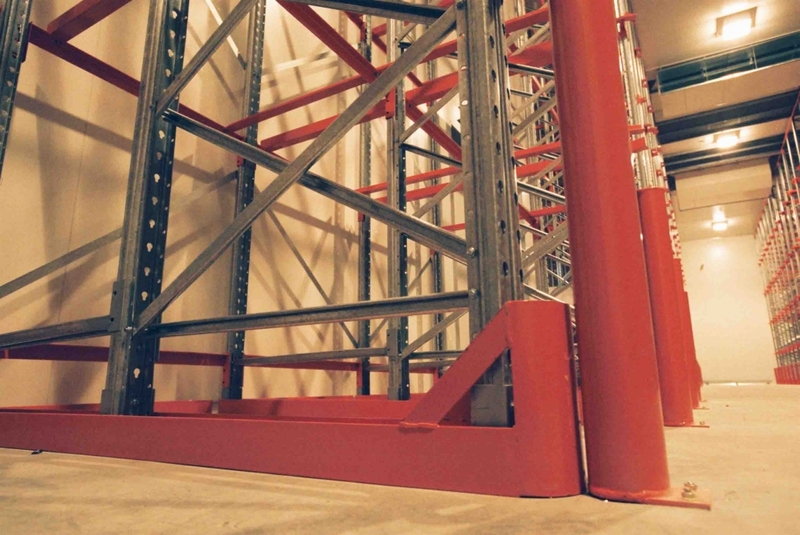 The most common place for racking to be damaged is the corner of an aisle. Drivers can often take the turn too quickly and accidently bump into the pallet racking with their forklift. Our corner post protectors are an effective solution that prevents damage by having a standalone unit that is dyna-bolted to the ground, completely independent from the racking. These are most commonly used for pallet racking, mezzanines and double-deep racking protection. Ideally, drive-in racking should have floor channels down the full lengths of the bay. This not only keeps the forklift straight, but it also prevents the pallet or forklift from catching on a frame. It comes with a rounded front bollard to help prevent damage and guide drivers into the aisle. 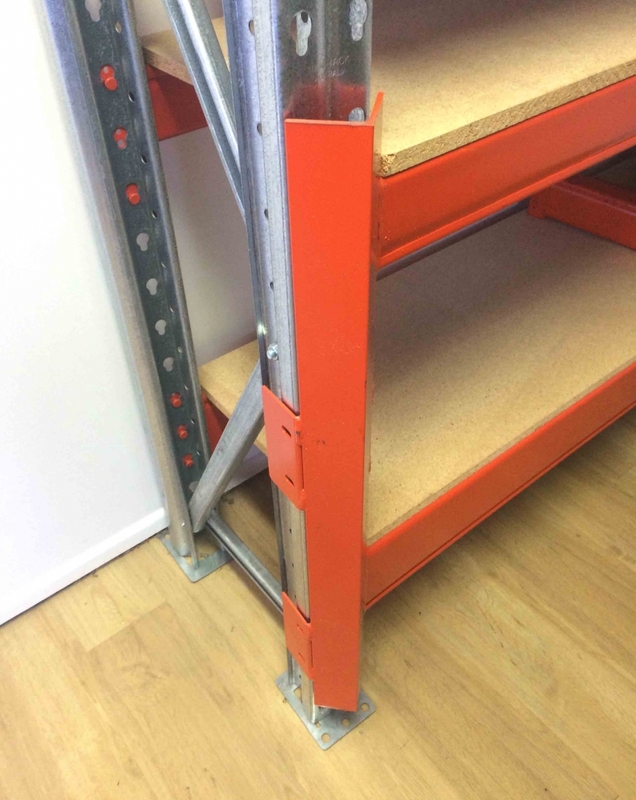 When using furniture racking or narrow aisle racking, we include a guide rail as part of the system. This is to allow the stock picker to move down the aisles without damaging the rack. Our furniture racking and narrow aisle racking comes with corner guide rails, which allow a smooth transition into the aisle, and they can also include walk throughs and end stops. They are dyna-bolted to the ground, independent from the racking system, and designed to withstand heavy impact. To improve your warehouse safety and organise racking protection for your storage system, call the experts at MACRACK today: 1800 048 821.